More than once, in the variety of online forums and in my interactions, many people have asked, how do you do it all? 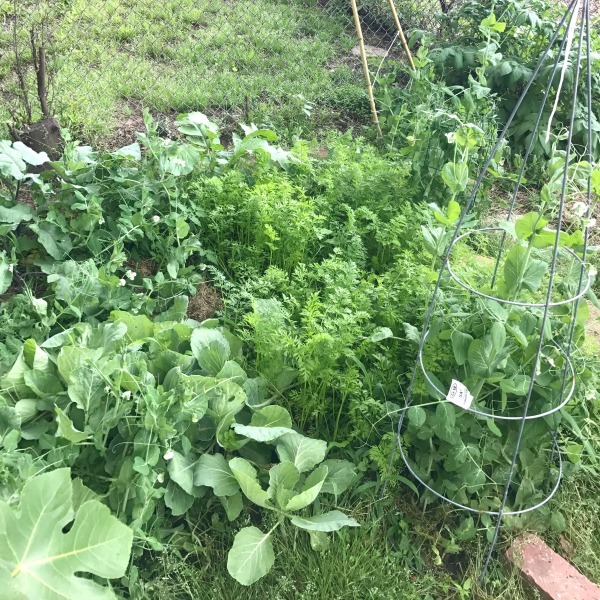 How can you cook from scratch, raise animals for food and maintain a garden AND work (or homeschool, work from home or even maintain a blog)? Well, I am excited to present new series with the solution! 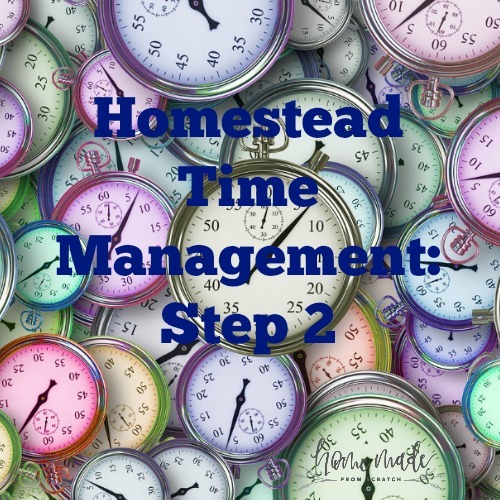 Read further for how I solve working full time and homesteading. This is the first part one in a series with a great set of worksheets. 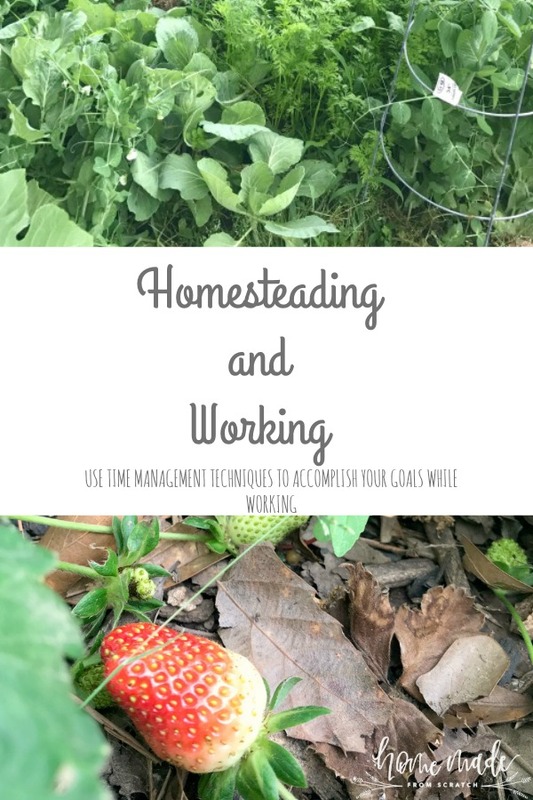 I will take you through each step in detail but this is an overview of how I get the homesteading goals I want to accomplish, done. Subscribe and you get can get the first PDF! 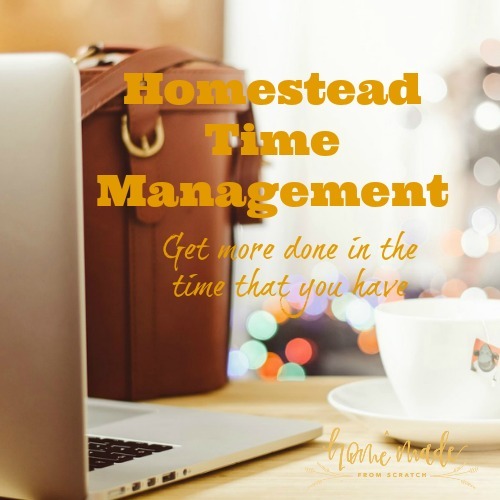 The first part of any time management plan is just that…a plan. The downloadable PDF explains the steps I go through in creating a plan in order to put my plan in action. This took me years to develop and was originally just used to keep all my thoughts in one place. Your dreams are tied to whatever your passion is which can be anything! 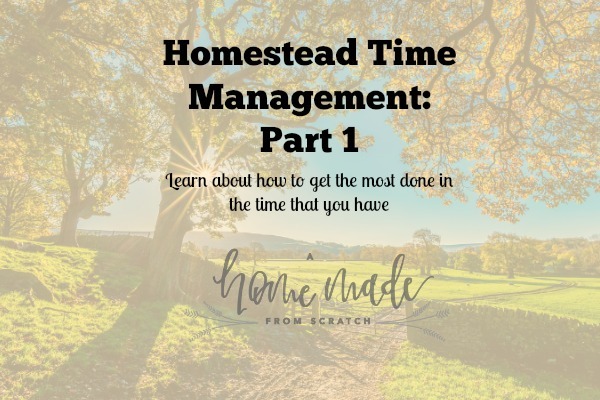 However, for most people interested in homesteading, that is anything related to what you define as homesteading. For me, this includes growing my own food (both meat and plant), learning to preserve what I produce and making most of my cleaners and body care items and sewing, crocheting or knitting. This is the key. This step is the most critical. When you think through a problem, start at the beginning and then get as detailed as you need to be. 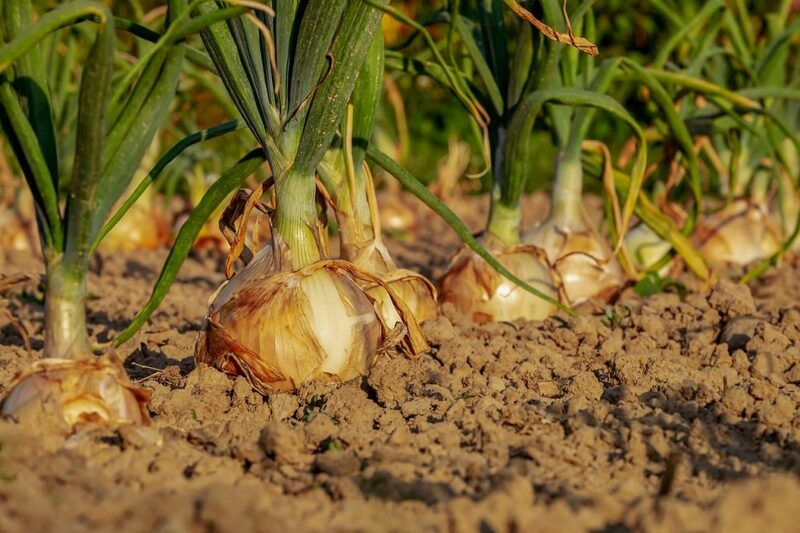 For example, you want to grow your own food. And you’d like to do this over five years. You already narrowed that down to a little but now you need to think out the steps. You’ll want to think about how to do that and where. Do you plan on moving? Start there, look for properties with arable land. If not, survey your property, watch the winter and sun pattern, where the water flows, get a soil test. If you need money for items, such as raised beds, saplings, etc. you’ll need to start with a budget. Now you’ll work with steps 3 and 4 to get down to the nitty gritty. All the way down to your daily schedule. The more often you are aware of your goals the more likely you are to complete them. Of course, unforeseen events can change everything but you can have a plan in place and then work on each part as you go. Refer to your yearly goals from step 3. 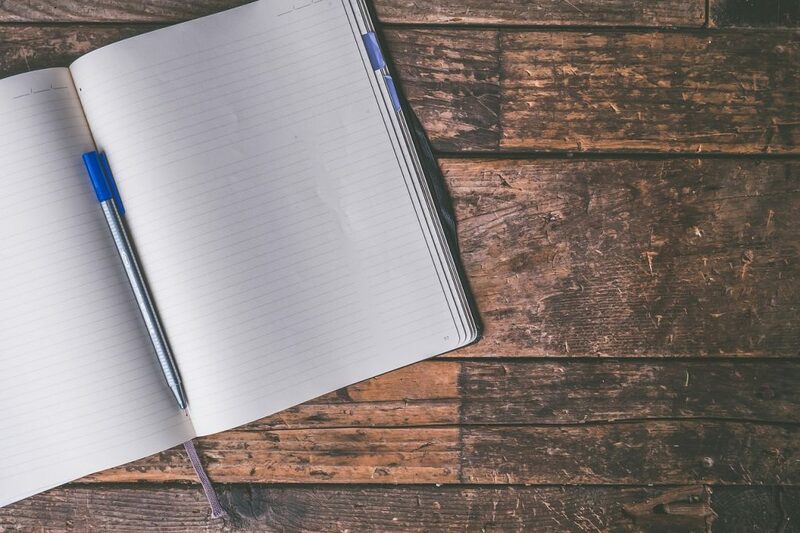 With each one, draw out what you think you can accomplish each month on that goal for year 1. Then move into weekly goals and a daily schedule. Refer to step 4 to get to where you need to start for a particular goal. Get as specific as you need to. For example, you may need to save a very small amount of money to be able to buy the parts and soil for a raised bed, then start there. Now you start moving forward. It is not too difficult once you have narrowed it down to something very simple. You can do this, just put on foot in front of the other and start your homesteading journey. Be sure to subscribe and get the worksheets. The next part of this series will show you in detail about each step, so you can work on your sheets by learning from this series. Enjoy!